The Apple Macintosh Plus and its crisp black & white monitor remain a compact and wonderful computing setup, and one that's also bound to offer you many retro gaming and creative hours. 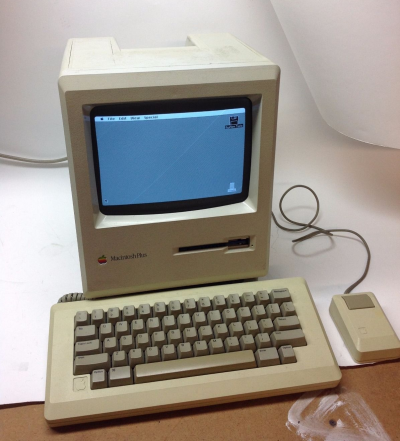 Oh, and if you don't have one, you can always bid on this lovely Macintosh Plus eBay auction. The computer on offer is fully working, and comes with 4MB of RAM, keyboard, mouse, and a carrying case.